There will be another Mike Oldfield Night in Second Life, this one coming up tomorrow, Monday, 8 December at 9PM GMT, which is 1PM SLT (Pacific Time). If you've been thinking of trying out SL, this might be a great opportunity. You will already have fast friends and someplace to go. (-: www.secondlife.com to get started. 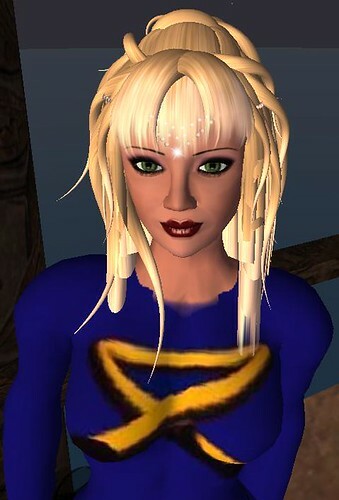 If you get inworld and need help, look for Morrighan Heron or Zanny Wirefly. It would be a good thing to spend some time on Orientation Island and Help Island, first. To find the Subterranea, click on Search (middle of your screen, bottom). Key in Subterranea in the search box. Make sure you have checkmarked the "mature content" box (even libraries are "mature content"--don't ask me why). Click on Subterranea, then there will be another screen, which will have a teleport option. Click on teleport, and away you'll go! Another way of visiting the Subterrania club for the event is to click secondlife://Preston/222/46/47 but only once you have ran the second life program as least once. Thanks to all who turned up to the Subterranea. ROCKMAN (me) had a great time!!!!! Will be at the next one! Questioanable use of the words "place" and "go". Seriously, my first life is quite enough for me to handle so I'm a bit reluctant to start a second one. Are there goregrind nights in Second Life too? I'd love to see who would show up. what is this really? a radio show????? I think it's an Exegesis session! I suppose you could describe the MO Night as a radio program, but a very immersive one where you can listen or dance to the music with other people. OK, other avatars. Zanny was the DJ and "present" with his avatar. (-: Just one more way, though far from the only way, to enjoy social networking more interactively. Sort of like IRC of days gone by, where someone might stream to a small group of us, and we'd talk and discuss amongst ourselves....but, there is a visually appealing club, a stage, interesting attired avatars, in addition to great conversation. www.secondlife.com. There is another MO night coming up Monday night, 5 January, same time, same place!